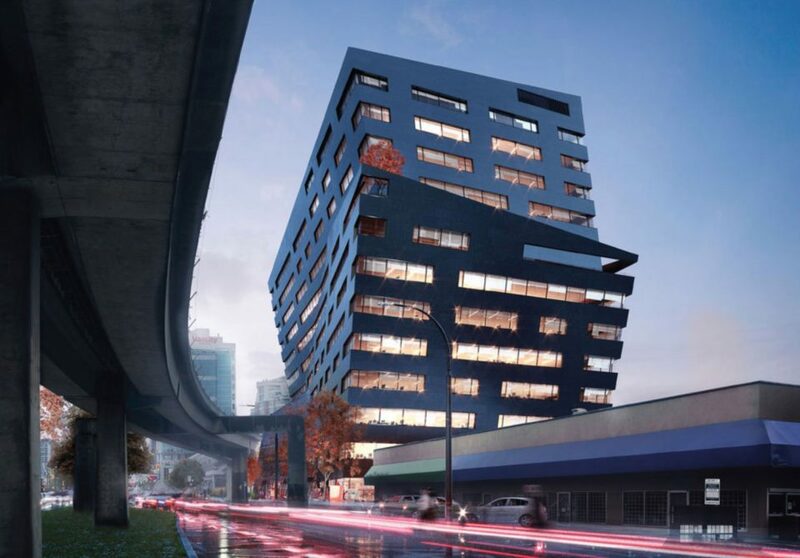 Rize reveals The Onyx: New 13-storey office building on Terminal Ave.
We are getting a better look at an upcoming 13-storey office tower next to the Pacific Central train station and Main Street-Science World SkyTrain. 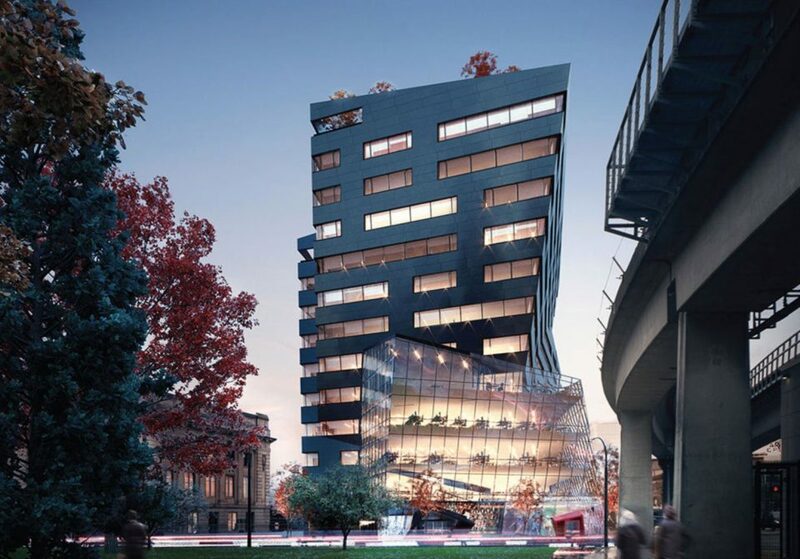 Rize, Pioneer Investments and leasing agents Colliers International have begun marketing The Onyx – an upcoming 13-storey AAA office tower with ground-floor retail. It will be built at 1296 Station Street, on the site of an older retail building most recently home to the Party Bazaar. The Onyx will feature 271,500 sq ft. of AAA-class office and retail, and a large rooftop amenity space including an outdoor patio. Several of the office levels will also have their own outdoor terraces. 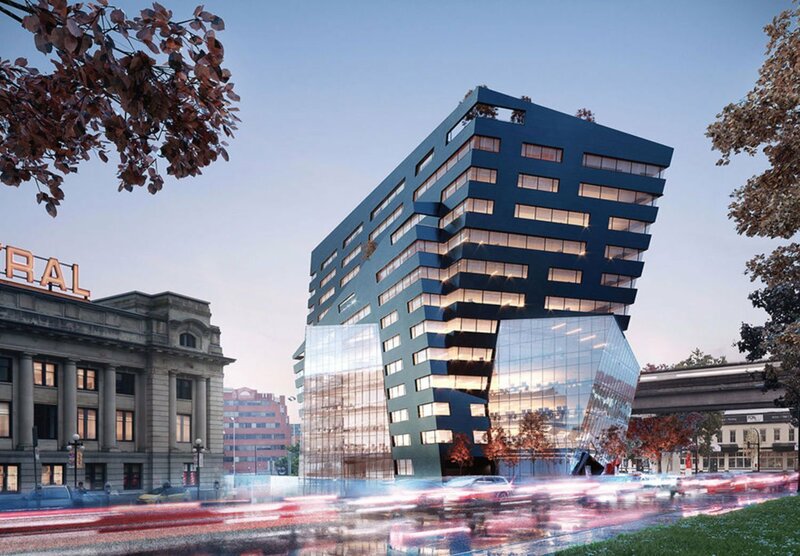 A fitness amenity will be located on the ground floor. 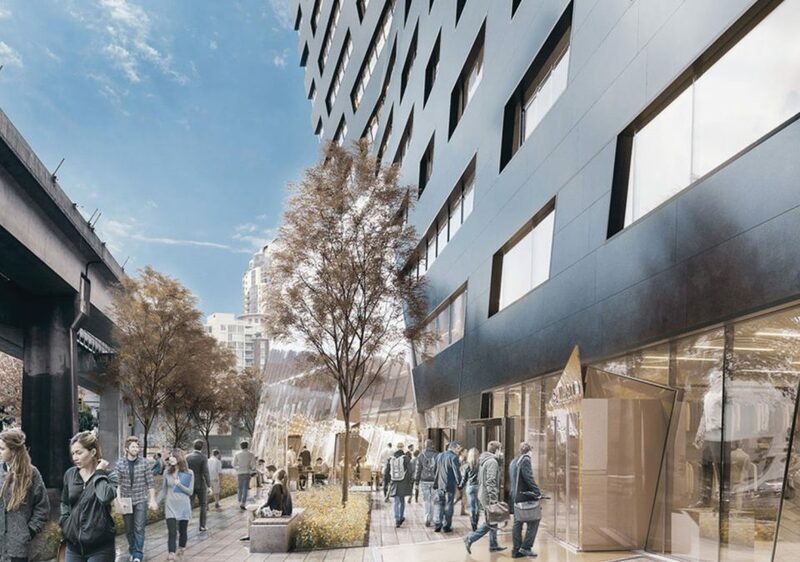 Occupancy is planned for summer 2021, and the building will be designed to LEED Gold standard. Architects are MCM Architects / Musson Cattell Mackey Partnership.